January 30, 2019 – The Donaldson Group (TDG) of Rockville, MD, Declaration Capital of New York City, and a fund managed by DRA Advisors have acquired Montgomery White Oak Apartments, a 592-unit garden-style apartment community located in Silver Spring, MD. The acquisition price was approximately $86.75 million. The partnership plans to invest additional capital to renovate the property. Maxi Thiels Leachman and David Webb of CBRE Capital Markets assisted the partnership in obtaining acquisition financing from Freddie Mac under the Green Advantage program. The seller, Joncon Venture, LLP, was represented by Bill Roohan, Mike Muldowney, Brian Margerum and Martha Hastings of CBRE’s Baltimore-based investment sales group. Situated on approximately 28 acres, Montgomery White Oak is located in Montgomery County adjacent to the White Oak Federal Research Campus, home to the US Food and Drug Administration (FDA) headquarters and the US Army Research Laboratory. It is less than one mile from the planned Viva White Oak, a $3 billion 12 million square foot mixed-use transit-oriented village focused on life sciences research and employment. The property has direct access to US 29 (Columbia Pike) and is a short distance from I-495, the Intercounty Connector, and I-95. The focal point of the partnership’s business plan is a renovation program to replace the original outdated central heating and cooling plant with individual high-efficiency heat pumps installed in each apartment, generating significant savings in utility consumption and cost. December 5, 2018 – The old boilers at Cider Mill Apartments were inefficient, cumbersome and had to go. 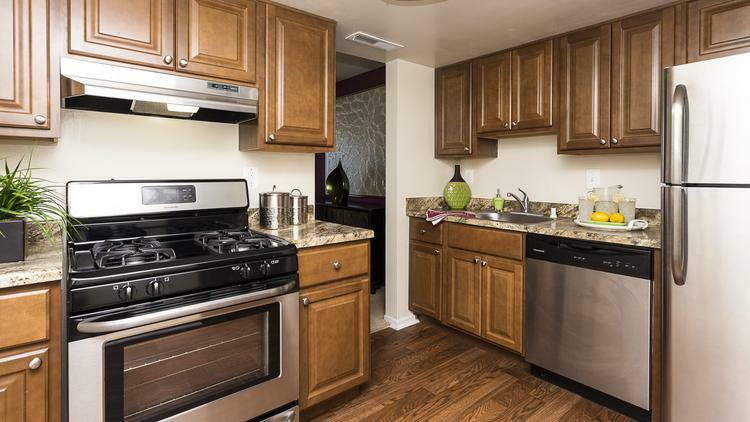 The new owners of the 864-unit, garden-style community in Montgomery Village, Maryland were glad the property was in good shape overall, but soon after their 2014 purchase they planned upgrades to common spaces, the grounds and mechanical, electrical and plumbing systems. “The most significant part of the renovation project was to convert Cider Mill’s antiquated two-pipe heating and cooling systems to individually metered, high-efficiency electric cooling and high-efficiency gas heat and hot water systems,” says Scott Altman, executive vice president of Rockville, Maryland-based full service real estate management and investment company, The Donaldson Group. The Donaldson Group spent four to five months exploring its conversion options, “and we are sure glad we did,” Altman says. The company reached out to Washington Gas to see whether there was anything the utility provider could do to make the conversion process easier. What The Donaldson Group learned led it to abandon its original strategy, which involved heavy use of electricity instead of gas. “It was nothing but good news from Washington Gas,” Altman says. The Donaldson Group was able to take advantage of Washington Gas’ Multifamily Incentive Program to offset the cost of installing individual natural gas utility meters. “What this meant for Cider Mill was that the Multifamily Incentive Program could potentially cover all the costs associated with running the gas lines from the new meters to the individual units,” Altman says – an incentive that added up to $1.2 million for The Donaldson Group. That was in addition to a $155,000 rebate the company received from Washington Gas’ energy savings program for the installation of high-efficiency water heaters. “While it was difficult to find the right person at the power company to discuss a conversion, it was more difficult establishing a meeting with them. Conversely starting a dialogue with Washington Gas was very easy and the folks there were very responsive – it was almost like they worked for us,” Altman says. The total renovation project was completed in 12 months, about half of the project’s original timeline, and at no time did a resident experience a utility interruption, Altman says. In the end, by spending just over $7 million in capital, The Donaldson Group added $20 million to the value of Cider Mill. Often, developers see the up-front costs of designing with gas as a challenge. But in the long run, using natural gas saves the property owner and tenants money. Developers of new construction and owners of asset reposition projects should keep Washington Gas’ Multifamily Incentive Program in mind when estimating project costs. The incentive can reduce the costs of installing individual gas utility meters by an average of $1,000 per unit, and sometimes that amount can range higher. To be eligible, projects must be in Washington Gas’ service territory and have four or more units. It is recommended that the project be in the pre-design phase and include gas heating, hot water and cooking to maximize cost savings. However, individually metering with one or two natural gas appliances may qualify for the MIP as well. Eligible incentive amounts vary by project and are determined after the project completes Washington Gas’s cost-beneﬁt lifecycle evaluation. November 13, 2018- The Donaldson Group, a full-service real estate management and investment company, received $1.2 million when utilizing Washington Gas’ Multifamily Incentive Program (MIP) to replace their 864-unit garden-style apartment complex’s inefficient central heating plants to individual-unit natural gas utility meters. 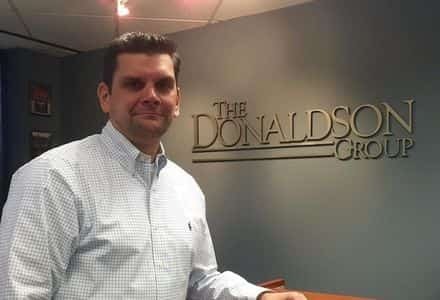 Because of Washington Gas and the MIP, The Donaldson Group reduced its energy costs and increased annual net operating income by more than $1.3 million to improve the value of their property by over $20 million. Simultaneously, their tenants benefited from long-term energy savings and improved comfort and convenience that comes with having natural gas. Washington Gas’ MIP is available to help lower first costs for developers who choose individual-unit natural gas utility meters for their multifamily projects. Property owners and asset managers of existing apartment buildings with either full electricity or single-building gas meter(s) can also benefit from the MIP when they convert their buildings to individual-unit natural gas utility meters. 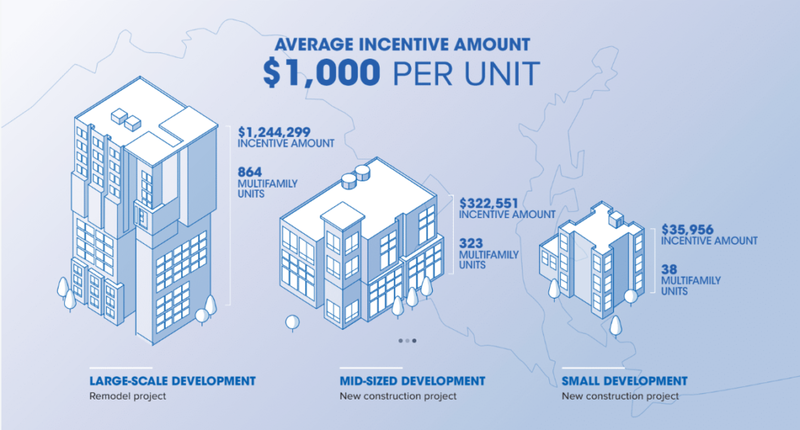 While incentive amounts vary by project, eligible funds could potentially cover houseline installation costs completely – resulting in significant savings for both new construction and existing multifamily projects. Rockville, MD, October 23, 2018– The Donaldson Group (TDG) of Rockville, MD has continued to expand southward beyond its base in the Washington, DC metro area, adding 625 units to its current 11,000-unit multifamily management portfolio. The company has taken over management of two recently traded apartment communities, one in Richmond and the other in Norfolk. In the Richmond suburb of Chester, TDG has begun managing Rivermont Crossing, a 457-unit rental community with 312 apartments and 145 townhomes. In one of the market’s largest multifamily transactions to date, the property was acquired by longtime TDG client The Steven A. Goldberg Company of Bethesda, MD. In Norfolk, TDG is now managing The Lafayette, a 168-unit high rise apartment building that was acquired recently by Graycliff Capital Partners, LLC. TDG will be assisting in the property renovation that will include hallway and lobby upgrades, relocation of leasing center and amenities, elevator upgrades, and interior unit renovations. 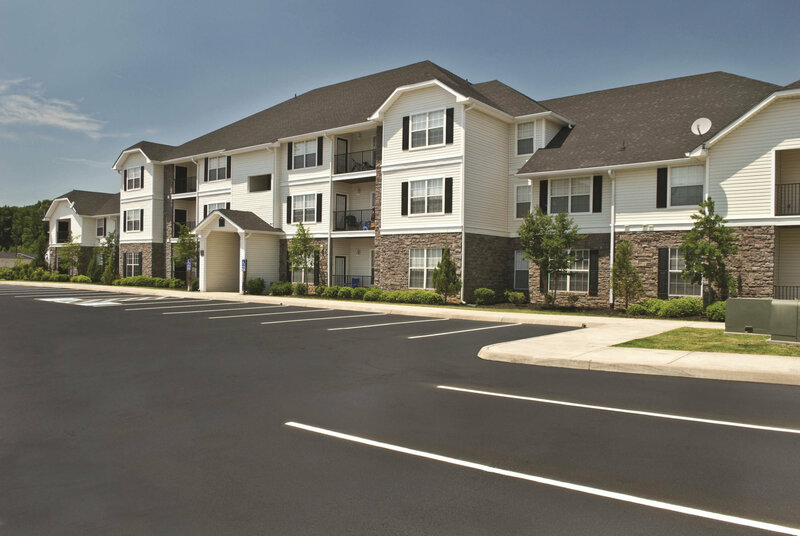 Combined with a 300-unit Charlottesville, VA apartment community that TDG has managed for six years on behalf of The Goldstar Group, TDG now manages 925 apartments in central and southern Virginia. The company plans to grow its footprint in the Richmond and Hampton Roads markets through both third-party management contracts and acquisitions as principals. Hampton Roads, Majeski continued, is the second largest market between Washington, DC and Atlanta, with a significant healthcare and high-tech defense presence. The metropolitan area is home to the Port of Virginia, the third largest-volume port on the East Coast. Due to its collaborative, integrity-based approach to its clients, TDG’s management portfolio has experienced 9.31% average annual NOI (net operating income) growth over the past five years. Since inception, TDG has advised clients on acquisitions of over $1.75 billion in real estate investment transactions comprising 18,000 units. The company also has taken over management of over 28,000 units, advised clients in disposing of over $1.25 billion in real property investments totaling 16,000 units, recapitalized 5,000 units valued at $350 million, and managed over $350 million in construction/renovation work. TDG’s transactions have resulted in a weighted average gross levered IRR (internal rate of return) of 28.6%. aware of and engaged with reviews generated by your employees and the degree to which your organization gives back to the community at large. With an average of 42% of the public’s perception of your company based on your CSR practices, it may be time for a reputation evaluation. In this session, learn 3 Key Steps to take toward integrating socially responsible practices into your organization today that will not only attract and keep residents, but recruit and retain employees! Rockville, MD, December 21, 2017 – The Donaldson Group (“TDG”) of Rockville, MD, and New York-based Angelo, Gordon & Co. (“Angelo, Gordon”), the $28 billion alternative investment firm focused on credit and real estate investing, today announced they have acquired Cityside at Huntington Metro (“Cityside”), a 569-unit apartment community in Alexandria, VA, for approximately $111 million in cash. Cityside is conveniently located right outside of Old Town Alexandria, within walking distance to the Huntington Metro Station, just off I-495 (the Beltway), offering residents accessibility to a large variety of nearby dining and entertainment options. Cityside is comprised of four high-rise buildings built in 1968 and 1974. The apartments include a mix of spacious and well-appointed studios, one-, two-, and three-bedroom units. Amenities include a rooftop fitness center, rooftop lounge, outdoor pool and sundeck, recently renovated outdoor patio and grilling areas, playgrounds, and a dog park. TDG and Angelo, Gordon’s renovation plans include a reconfiguration and modernization of the leasing center and lobby, enhanced signage, new windows, common area and entryway improvements, exterior façade renovations and balcony railing replacements, enhanced landscaping, upgrades to mechanical systems, and interior unit renovations (including new cabinets, stainless steel appliances, luxury counter-tops, upgraded flooring, and new bathrooms), among other enhancements. “Cityside has substantial growth opportunities. We have developed an intelligent, well-designed and cost-effective renovation, coupled with an engaged management team, dedicated to building relationships with our residents and providing them with superior customer service,” said TDG Senior Vice President, John Majeski. “We truly believe in this growing market and plan to take advantage of the tremendous opportunities”. The seller, an affiliate of The Carlyle Group, was represented by Bill Roohan, Bob Dean, Jonathan Greenberg, Tom Leachman, and Yalda Ghamarian of CBRE Capital Markets. TDG and Angelo, Gordon are working with David Webb and Maxi Thiels Leachman of CBRE Debt & Structured Finance Group to obtain financing that it expects to put in place shortly after closing on the acquisition. At TDG’s annual Holiday Party on December 7, 2017, its new recruitment video was unveiled. The video features TDG executives and team members discussing why TDG is such a great place to work. Sandra Thomas produced the video. Sandra filmed several hours of TDG team members talking about their experiences as part of the TDG team. She then edited the discussions into a four minute video. The video will be featured on TDG’s website and will allow prospective team members the opportunity to learn what it is like to for TDG. Click the below link to watch the video. 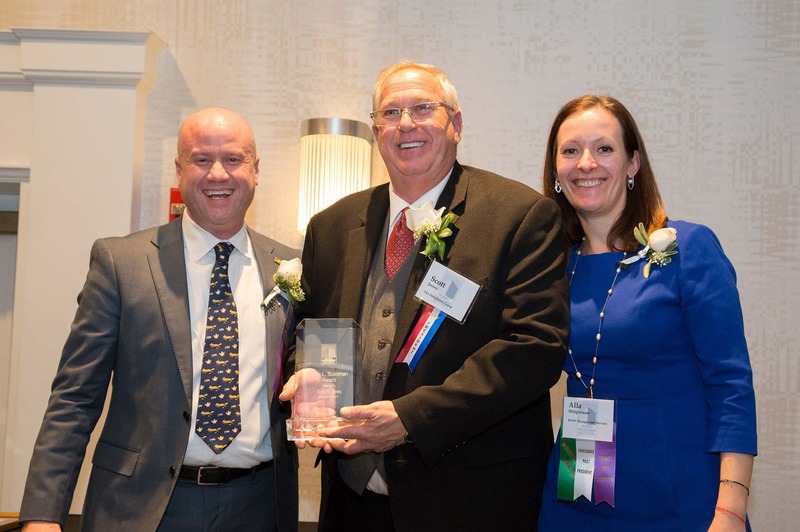 Scott Jones, Senior Advisor to the President, was honored with PMA’s highest honor, the Alvin L. Sussman award at the association’s Past Presidents Dinner on November 16, 2017. The Alvin L. Sussman award recognizes a property manager who has made an outstanding advancement in the property management profession. The criteria includes enhancing relations between residents and management; advancing the profession by instituting a major improvement in operations; achieving a noteworthy accomplishment resulting in favorable public notice that brings acclaim to the profession, receiving public recognition for a deed or accomplishment that may pertain to property management but reflects favorably on the individual as a property manager; and accomplishing a special achievement in the private sector. Scott served on the Board of Directors of PMA and was it’s President in 2015. 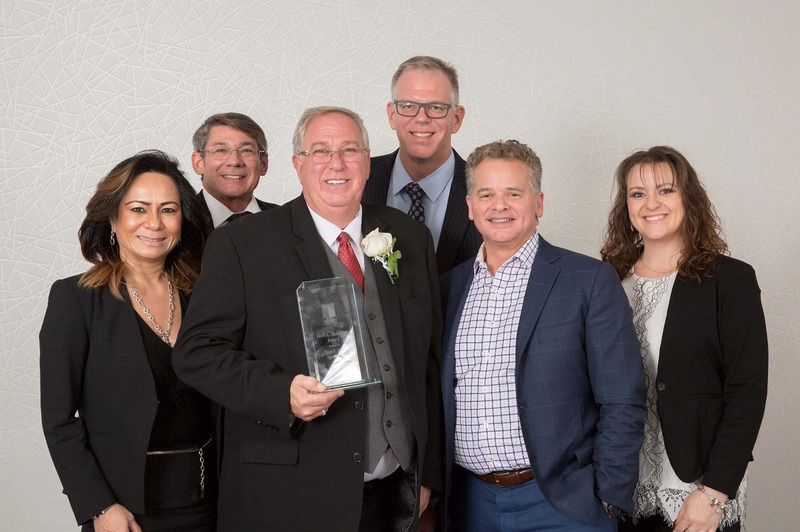 Picture from left to right is TDG Executive Team members Sylviane Nguyen (CFO), Carlyle Swafford (SVP of Property Management), Scotr Jones (Senior Advisor), Scott Altman (Executive Vice President), Carlton Einsel (President) and Jennifer Casey (SVP of Operations). The Property Management Association awarded Jennifer Casey, Senior Vice President of Operations, the Carole Worley Distinguished Service Award at as it’s Past Presidents Dinner on November 16, 2017. Jennifer received this award for the stellar work she has done as the Co-Chair of PMA’s Community Service Community. The Community Service Committee capitalizes on PMA members’ expertise to improve the quality of space where people live and/or work and provides mediums for members to serve their community. 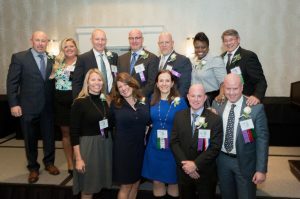 The Distinguished Service award, that Jennifer received, is given to PMA members for their extraordinary commitment and service to the Property Management Association. Carlyle Swafford, Senior Vice President of Property Management, was installed as President Elect of the Property Management Association (PMA) on Thursday, November 16, 2017. Carlyle has served on the Board of Directors for several years and in 2017 became the association’s Treasurer. He will become the association’s President in 2019. Brinkley Manor Apartments, a 126-unit garden-style apartment community located in Temple Hills, Maryland. The acquisition price was approximately $15.05 million, and the partnership plans to invest additional capital to renovate the property. Robert LaChapelle and Matthew Forgione of CBRE Debt & Structured Finance assisted the DRA-TDG partnership in obtaining acquisition financing through Fannie Mae’s Green Loan Program. The seller was represented by Michael Muldowney and Brian Margerum of CBRE’s Baltimore, MD-based investment sales group. Residents at Brinkley Manor enjoy a quaint, suburban neighborhood setting, but also have convenient access to nearby destinations, including National Harbor and downtown Washington, DC, via the Capital Beltway (I-495) located just one mile from the property. Brinkley Manor is comprised of 21 garden apartment buildings constructed in 1972. Its one-, two- and three-bedroom apartment homes range from 813 to 1,448 square feet in size with each apartment containing individual washers and dryers. TDG’s renovation plan will include replacing the current outdated utility system to improve service to the community’s residents and cutting energy consumption dramatically. The new ownership also plans to upgrade buildings, common areas, property grounds, and renovate individual apartments. The Donaldson Group is a full-service real estate management and investment firm offering comprehensive services and expertise in property and asset management; financial management and accounting; investment, underwriting, and acquisition analysis; and construction management and renovation services. Since 2003, TDG has advised clients on the acquisition of over 15,000 multifamily units valued in excess of $1.5 billion, and has taken over management of over 25,000 units. During this same time period, TDG has advised clients in disposing of over $1.25 billion in real property investments, comprising approximately 12,000 units, and has managed over $350 million worth of renovation work. For more information, visit www.thedonaldsongroup.com. DRA Advisors LLC is a New York-based registered investment advisor specializing in real estate investment management services for institutional and private investors. Since DRA was founded in 1986, the firm has acquired over $28 billion in assets, including 62,000 residential units, 50 million square feet of industrial properties, 43 million square feet of office space, and 65 million square feet of retail space. For more information, visit www.draadvisors.com. What began as an October program to raise awareness for domestic violence prevention across its portfolio became The Donaldson Group (TDG)’s most successful community service initiative to date. With 20 communities participating, TDG teams collected over 12,000 items to support House of Ruth in Baltimore, MD. Two TDG properties in particular led the donation efforts, winning multiple collection contests and recognition. Team Phoenix in Bladensburg, MD collected the most volume of donations, topping the scales at 1530 pounds. Meanwhile, Team Kentlands Manor in Gaithersburg, MD collected 2054 individual items, handily winning the internal contest based on number of donations. Together, these two teams brought in a third of the total donations collected by the organization. William and his team donated the use of a moving truck and several Moyer employees volunteered to help the various TDG locations load the truck with donations, including over 12,000 items of food, clothing and toys. In fact, the donation drive was so successful, House of Ruth could not accept the entire volume brought to Baltimore in December. Fortunately, William’s other non-profit contacts provided TDG and Moyer & Sons with alternative charities for the surplus donations. and his team to share some of the goods with other local charities including Manna Food Bank, The Dwelling Place, Frederick Rescue Mission, MCPS Coat Drive for the Homeless, and Montgomery County Coalition for the Homeless. The Donaldson Group’s Nelson Ramos, Service Manager at The Commons at Cowan Boulevard, Wellington Woods and Camden Hills in Fredericksburg, VA, won the Maintenance Supervisor/Service Manager of the Year (4 or more employees)—Special Recognition Award at the PMA Maintenance Professional Awards held October 26, 2016, at Martin’s Crosswinds in Greenbelt, MD. Twelve maintenance professionals from ten different management companies were recognized at the annual event. Ironically, Nelson almost missed out on his award not once, but twice. First, the day of his PMA interview, an office miscommunication about date and time had Nelson supporting another TDG property more than 30 miles away. Through phone calls with Rick Lowman, Engineering Operations Manager for Southern Management Corporation and interviewer for the PMA Maintenance Professional Awards, they were able to come up with a mutually convenient time to meet later in the day. Second, because Nelson is essentially a regional maintenance supervisor, there was not an established category in the contest for an employee at his level. Because he was already in Fredericksburg, Rick decided to go ahead and visit each of Nelson’s three properties while he waited for Nelson to return. He was very impressed with the way Nelson maintains the properties under his supervision and decided to go ahead and interview him even though he technically did not fit into one of the award categories. Bisnow is pleased to announce our Fifth Annual BMAC East conference! This year, we’re packing all the action into one full day of hard hitting content from the East Coast’s top multifamily executives. Our panels will delve into all aspects of the industry – the capital stack, how to thrive in the next recession, the apartment of the future, the ever expanding importance of mixed-use communities, affordable housing, finding value in properties where others may not, current and future developments, trends in design and construction, and much, much more! As always, Bisnow promises plenty of networking opportunities to connect in a fun, and fast-paced atmosphere in the Nation’s capital. At Bisnow’s regional multifamily forum last week, it wasn’t the luxury apartments with rooftop pools and million-dollar condos getting the most love from our panelists. Rather, it was the old properties with few amenities to speak of in emerging markets like Prince George’s County that seemed like the belle of the ball. County executive Rushern Baker is the man to credit with much of the county’s recent success, and his proposed $50M investment in Suitland—along with moving the county government to Largo from Upper Marlboro—is seen as just another step in the right direction. Helping matters is the Purple Line, running from Bethesda in next-door Montgomery County to New Carrollton in Prince George’s, stopping through the University of Maryland in College Park on its way. Whereas the suburbs have only been growing strongly around Metro stops, for the most part, the Purple Line has the potential to create more, reliable transit. Financing for multifamily developments in Washington, DC, is starting to tighten, as lenders begin to wonder just how much more supply the area can absorb after two years of record-setting residential deliveries. Bisnow talked to several panelists who’ll be speaking on that very subject at our upcoming DC Regional Multifamily Forum on April 26. In 2014, 14,000 new residential units were delivered, and deliveries remained strong last year. Demand has kept pace enough to ensure all those new units are being occupied, but rent growth has slowed to a crawl due to all the new supply, leading to concerns among lenders. “There’s definitely been a tightening in the financing markets in general,” says Charles Elliott (above), a managing director at Toll Brothers Apartment Living, which has six projects with about 2,100 units total in the pipeline. “Lenders are looking a lot more closely at who’s doing the project, where it is and what sets it apart, than they were maybe a year or two ago,” he says. While that’s made financing harder to come by generally speaking, Charles says it has also created opportunities for well-known firms with big balance sheets like Toll Brothers. “Smaller, lesser-known outfits are going to have a tougher time convincing lenders to back a project,” Charles says. As a result, Charles says he’s looking at partnering with smaller firms that might not have been able to get a project off the ground by themselves in the current environment. Barron Williams (above), a director at Clarion Partners, says the tightening is just as evident for equity as it is for the debt markets when it comes to multifamily in DC. The affordability of rents in Class-A apartments is also concerning, he says, and something Clarion will be watching closely in the months ahead. John Majeski (shown on the right, along with Beech Street Capital’s Michael Edelman and Martin Architectural Group’s Mike Rosen), an SVP at the Donaldson Group, says the impact of stagnant rent growth in the new supply has been limited for Donaldson. That’s because the Donaldson Group primarily focuses on buying and renovating Class-B and C apartment buildings and reselling them, so they’ve been somewhat insulated from all the new Class-A supply coming online. “So we always underwrite enough of a spread of our rents to the Class-A rents,” he adds. Despite all the new supply and stagnant rent growth, the price of apartment buildings remains high, a fact that’s vexed John and his colleagues at Donaldson. Typical of older multifamily buildings: one centralized plant servicing all heating and cooling of the apartments. Newer trend: individual controls in each apartment, giving tenants more control. The Donaldson Group (TDG) is getting busy servicing the great demand for this utility conversion, identifying older multifamily properties with existing central utility plant systems and upgrading them. Senior VP John Majeski tells us these existing heating and cooling systems are typically inefficient; performing utility conversions can present an opportunity for a significant return on investment, as well as creating a higher product class for future renters. Another added value: an increased buyer pool when the time comes to sell. How the conversion works: abandoning the central plant and installing individually metered electric heat pumps or individually metered gas furnaces in each apartment. 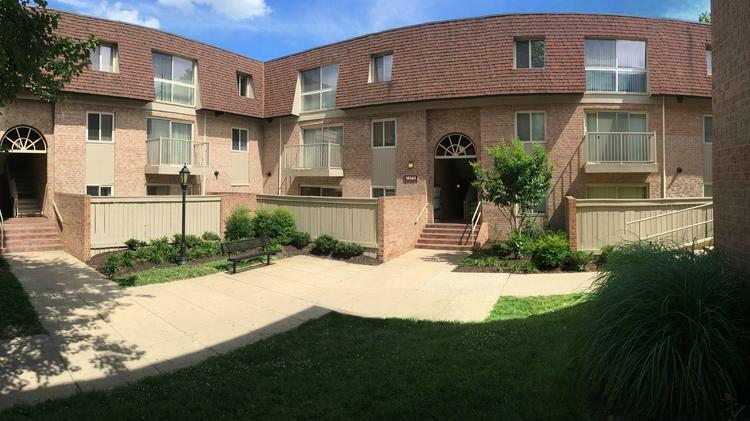 TDG is currently operating a third-party utility conversion for Harbor Group International; Jefferson at Orchard Pond Apartments, Gaithersburg, MD, with 748 units built in 1975. Recent TDG utility conversions include Regency Pointe Apartments, Forestville, MD, 599 units built in 1963: utility expense savings over 60%; and Andrew’s Ridge Apartments, Suitland, MD, 492 units built in 1965: utility expense savings over 60%. Conversions in progress include the Cider Mill Apts, Montgomery Village, MD, 864 units built in 1971: estimated utility expense savings: 50%. The Marcus & Millichap / IPA Multifamily Forums across the U.S. bring together over 5,000 multifamily owners, investors, managers and developers to create an in-person marketplace for learning, discover, networking and deal making. The sessions address the major issues affecting the apartment and condo industries today, and the networking allows multi-housing principals to meet, talk and source deals and investment capital.